Hello friends. Today I have brought the name of a great temple, for those who love visiting temples and are planning to spend their holidays by visiting magnificient temples. 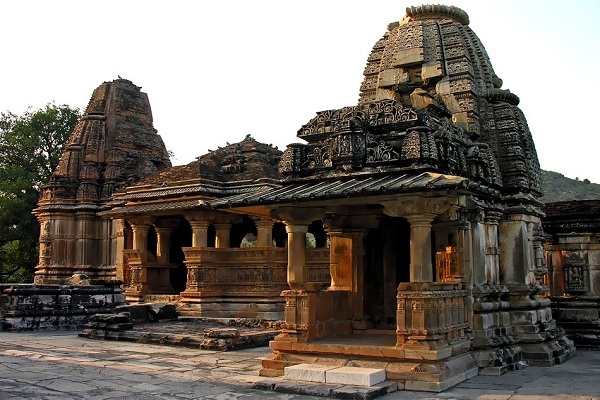 22kms away from Udaipur, this temple is mainly dedicated to Lord Shiva. Any guessess, which temple is this?? ?It's the fabulous, fantastic and fascinating 'Eklingji Temple' of Udaipur. 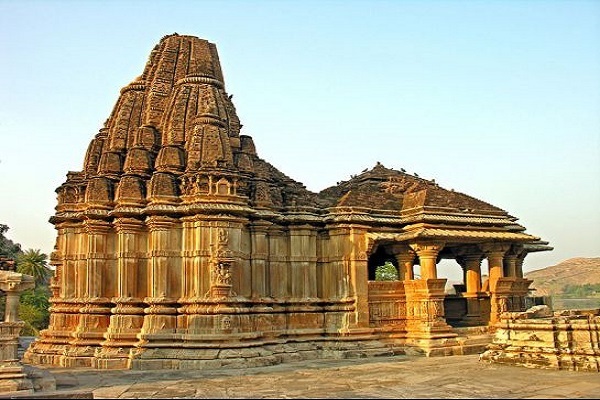 Eklingji temple was build by Bappa Rawal, the then king of Udaipur, in nearly 728 AD. 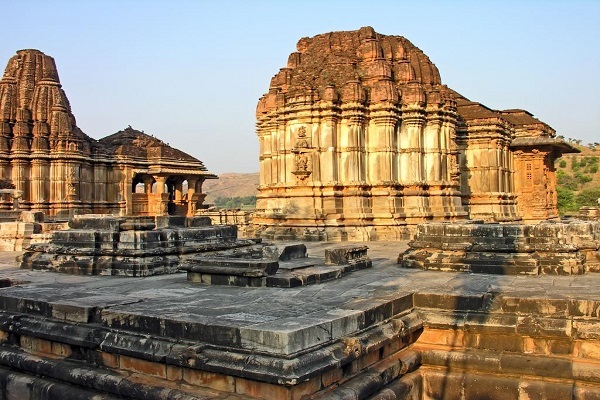 The temple is located on the bank of the Indersagar temple. The temple has 108 shrines in it. The temple is constructed using marble and sandstone. The main shrine has a pyramidal style of roof and also has a beautifully carved tower. The main shrine has a statue of Lord Eklingji in it with Brahma facing west, Vishnu facing north, Shiva facing south and Surya facing east. The statue stands of 50 feets. Other statues in the temple are of - Nandi(the sacred bull of Lord Shiva) and Bappa Rawal's statue, with his face towards Nandi and his hands clapped. Two other staues of Nandi, one is carved in black stone while the other in brass stone, are also seen in the temple. A Shivalinga, encircled by Goddess Parvati, Lord Ganesha and Lord Kartikay, is located in the middle. Two other statues of Goddess Saraswari and Goddess Yamuna can also be seen in the temple. The silver door of the main temple is curved with the images of Lord Ganesha and Lord Kartika such a way as if they are gaurding their father. During Shivratri, the image of Lord Shiva is adorned with jewelry. Above all, the temple also consists of two smaller temples of Amba Mata and Kalka Mata. So, do visit this temple in these summer vacations!!! Darhan Timings: The temple can be visited anytime between 4.15 am to 6.45 am in the morning, 10.30 am to 1.30 pm in the noon and lastly from 5.15 pm to 7.45 pm in the evening. Eklingji is located about 22 kms away from the Udaipur city on National Highway no. 8. The city of Udaipur is well connected by road and railways. 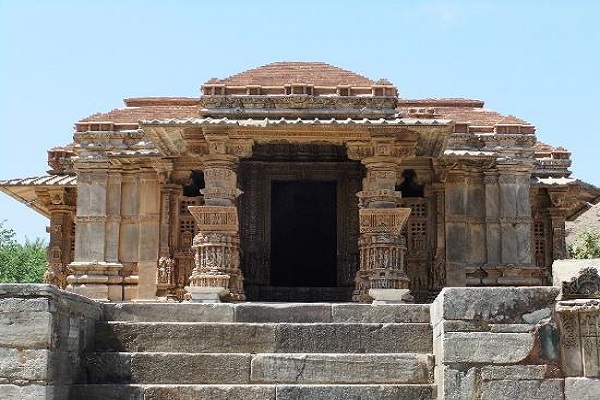 Henceforth, tourist can hire private cabs or taxi or even can take help of private or public buses to reach the Eklingji Temple.